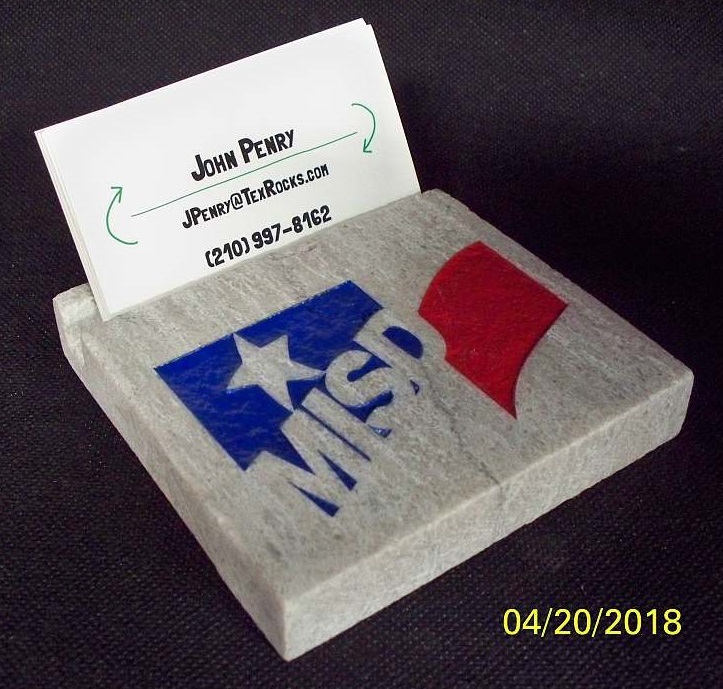 Business Card Holders, customized with your logo. 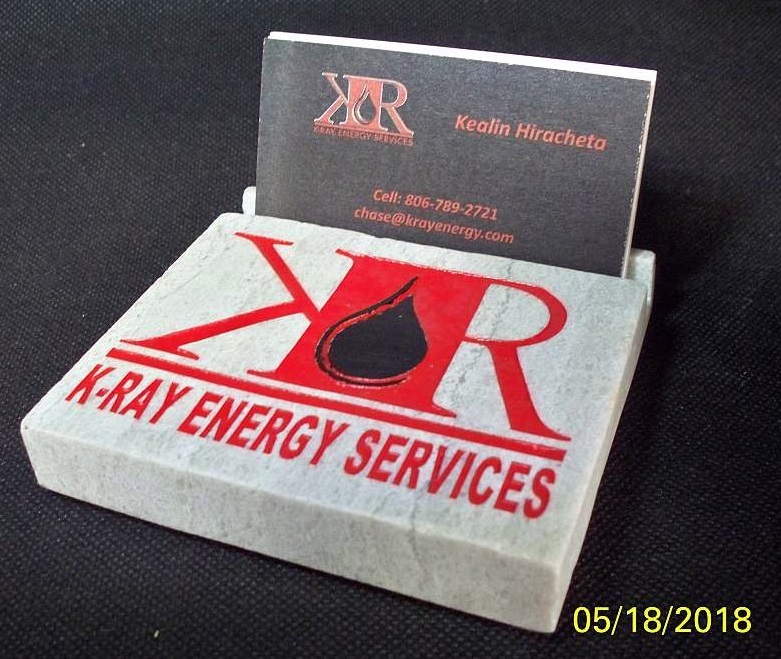 We also have a limited supply of white marble and black marble. 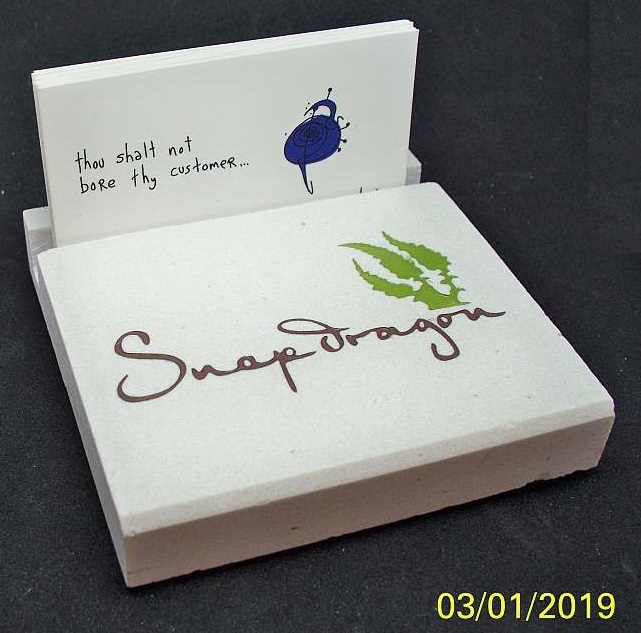 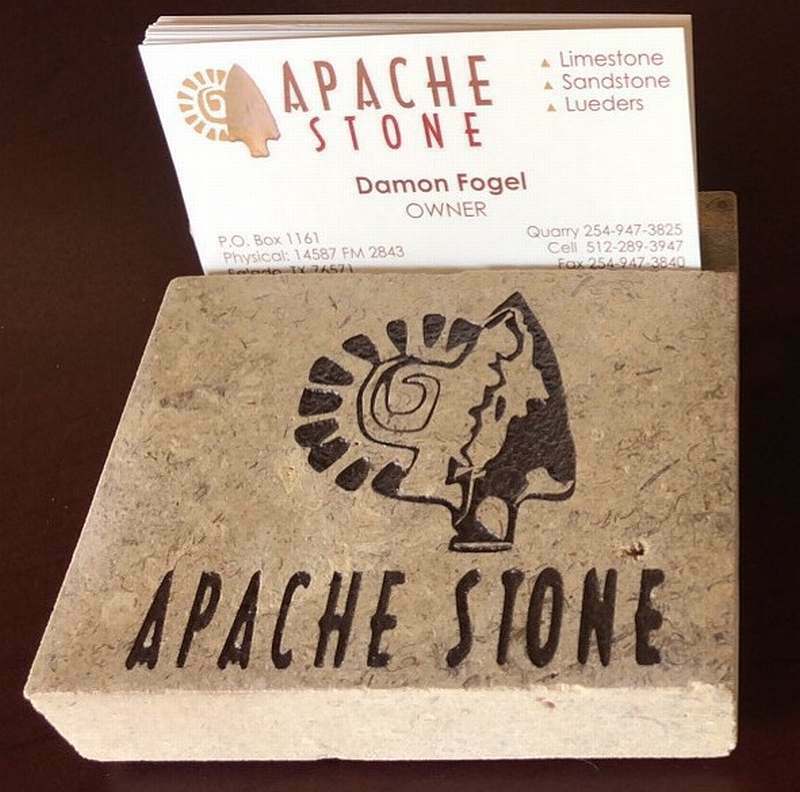 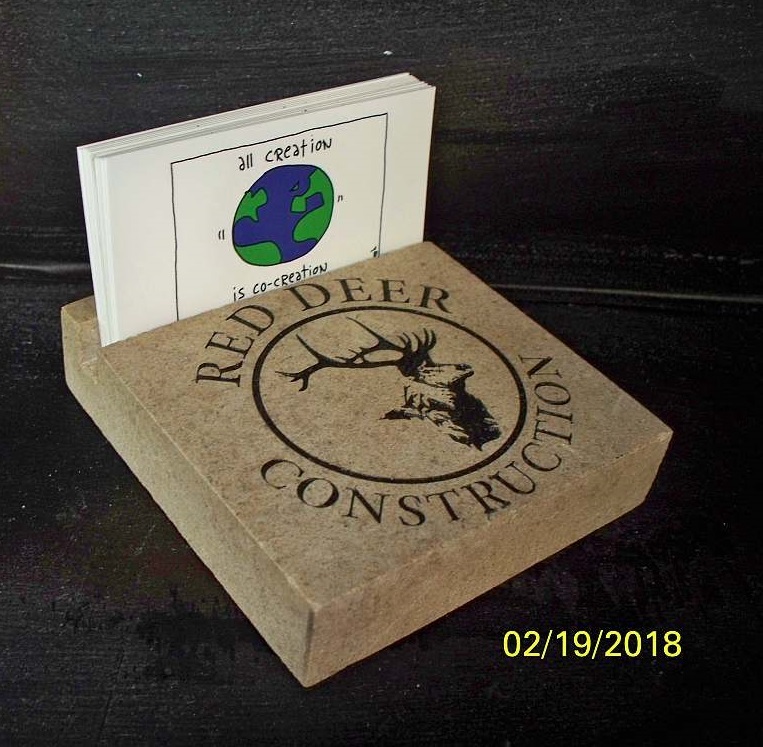 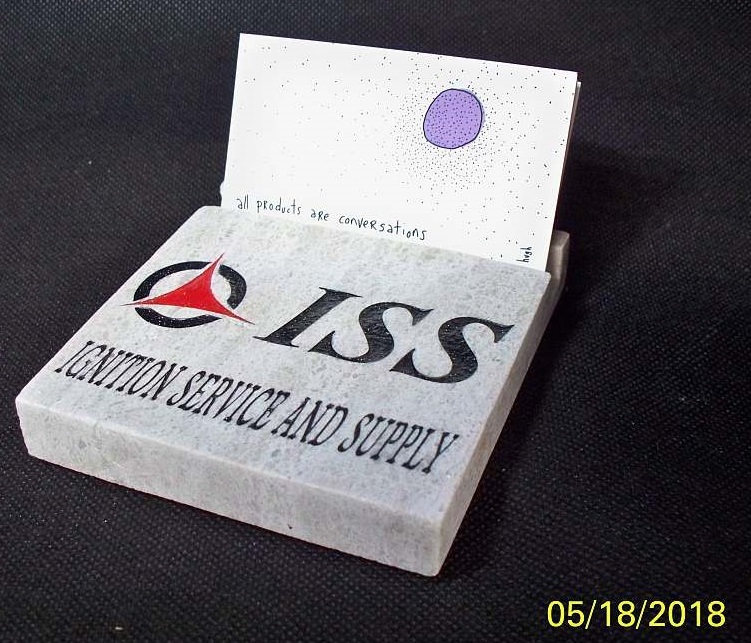 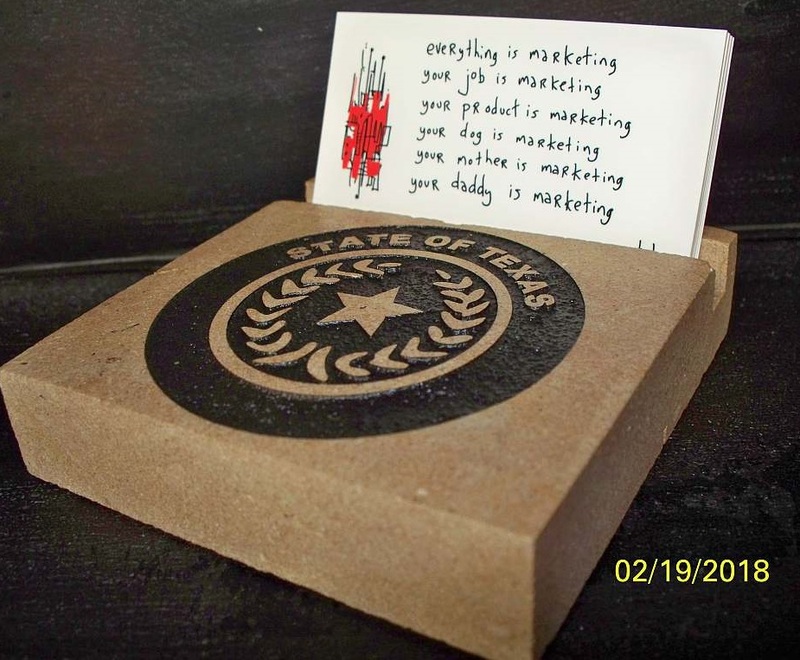 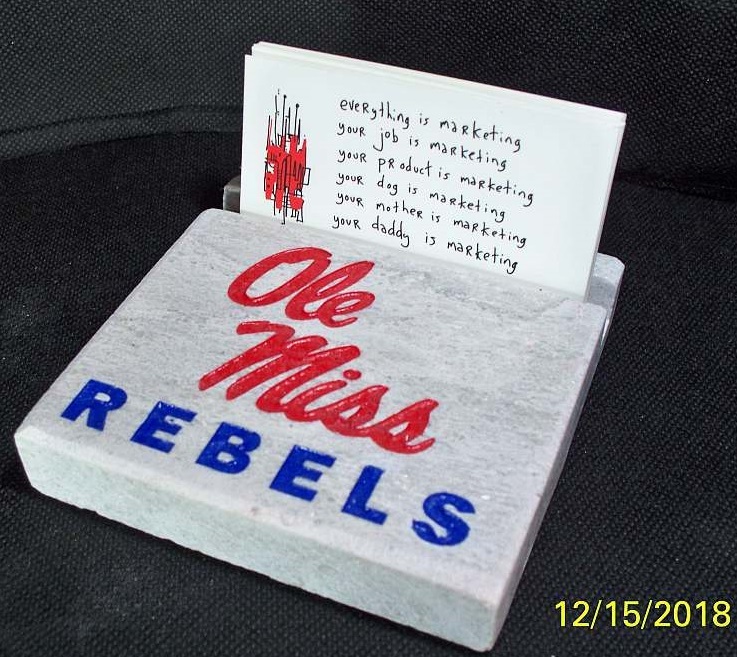 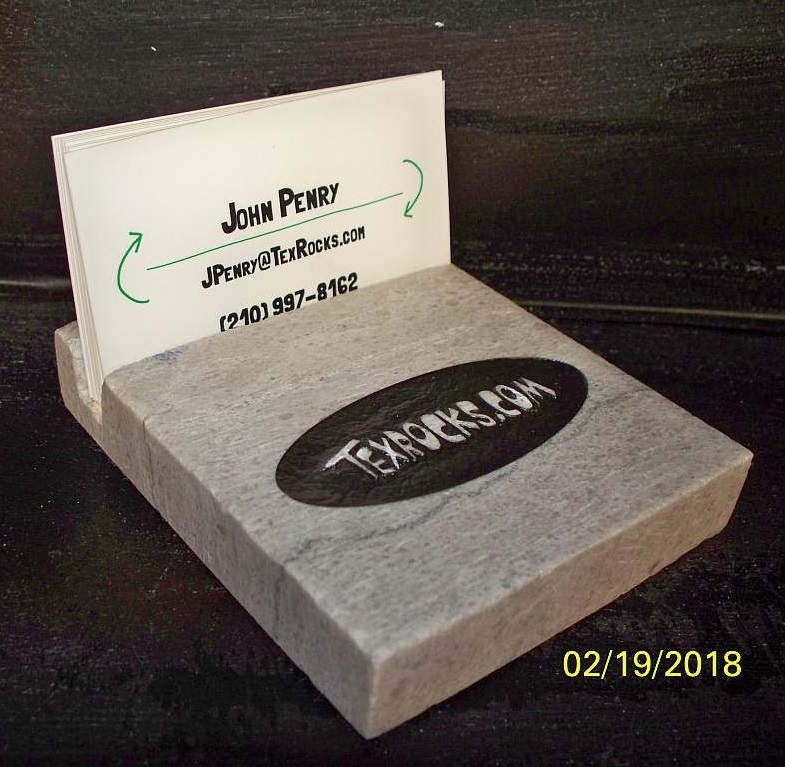 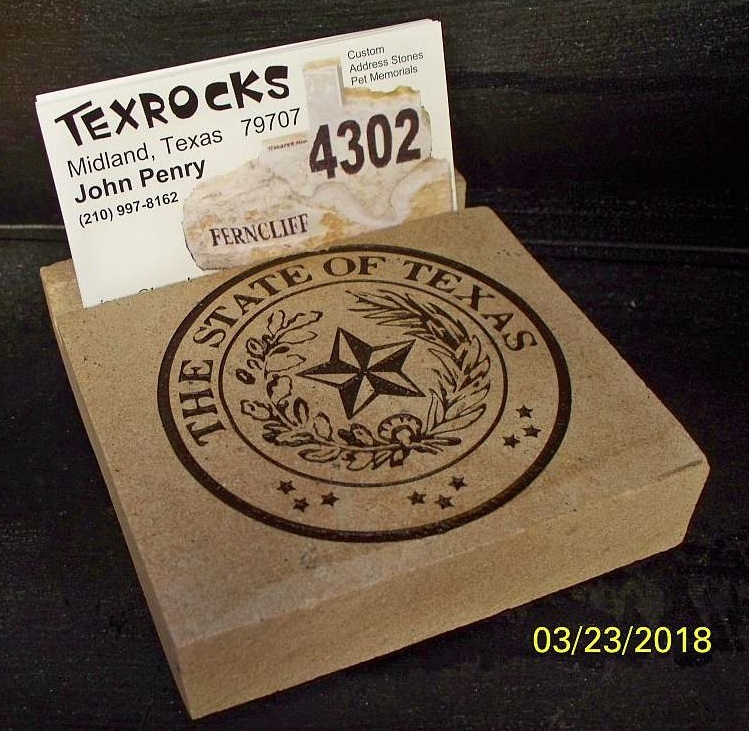 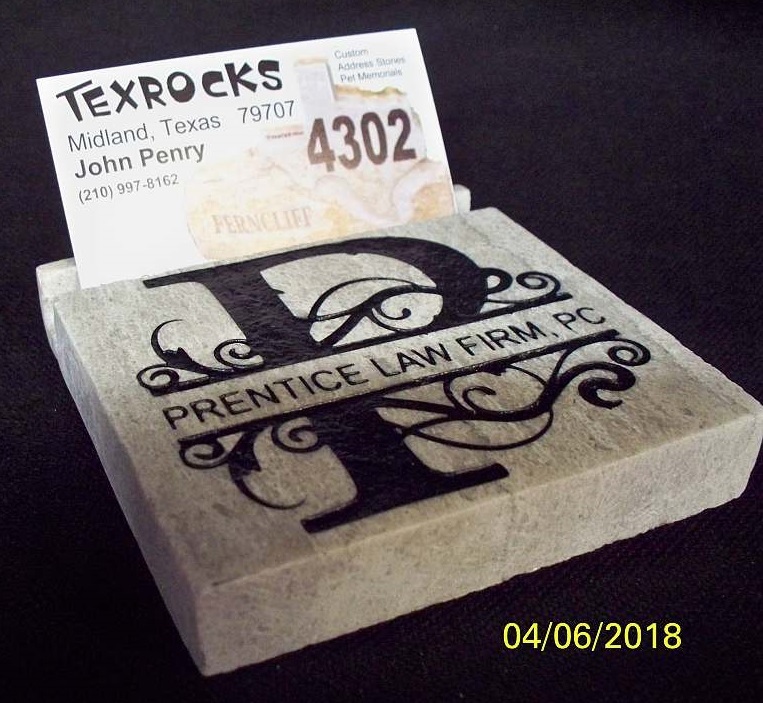 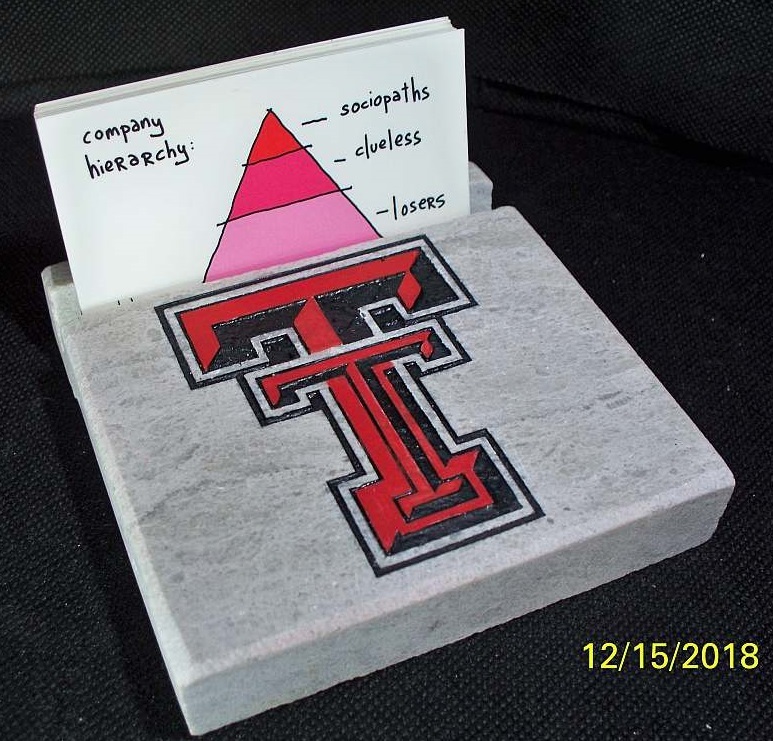 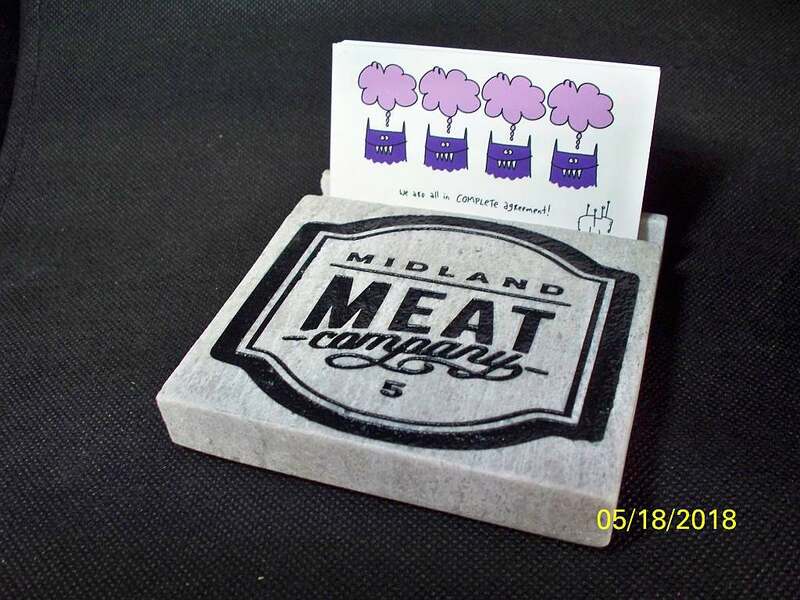 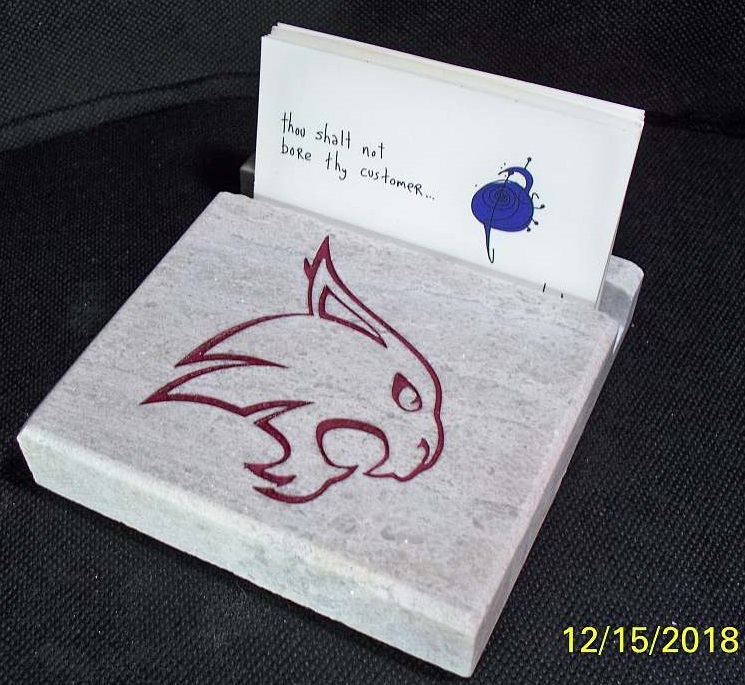 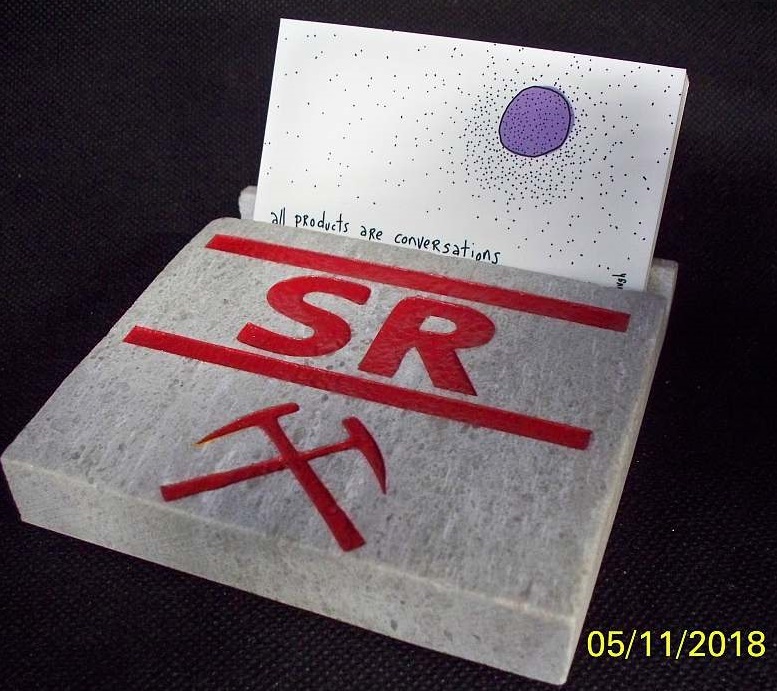 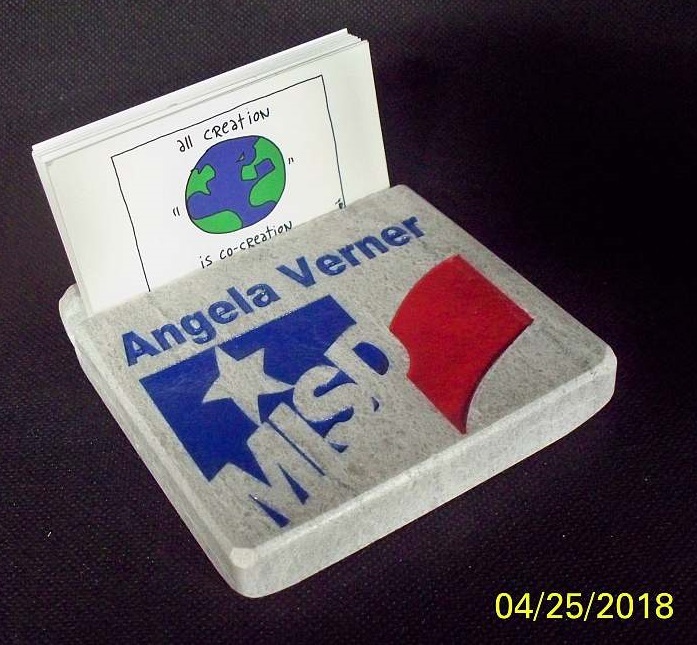 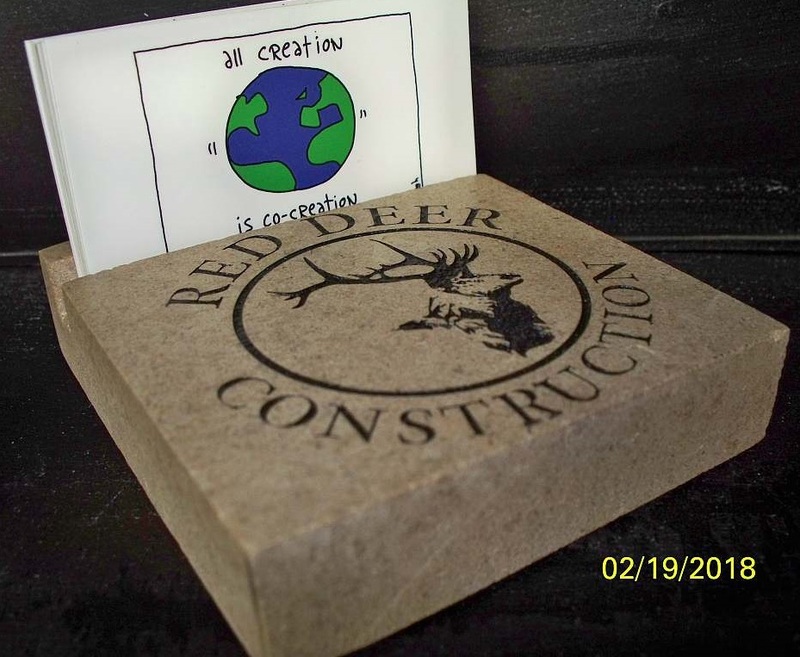 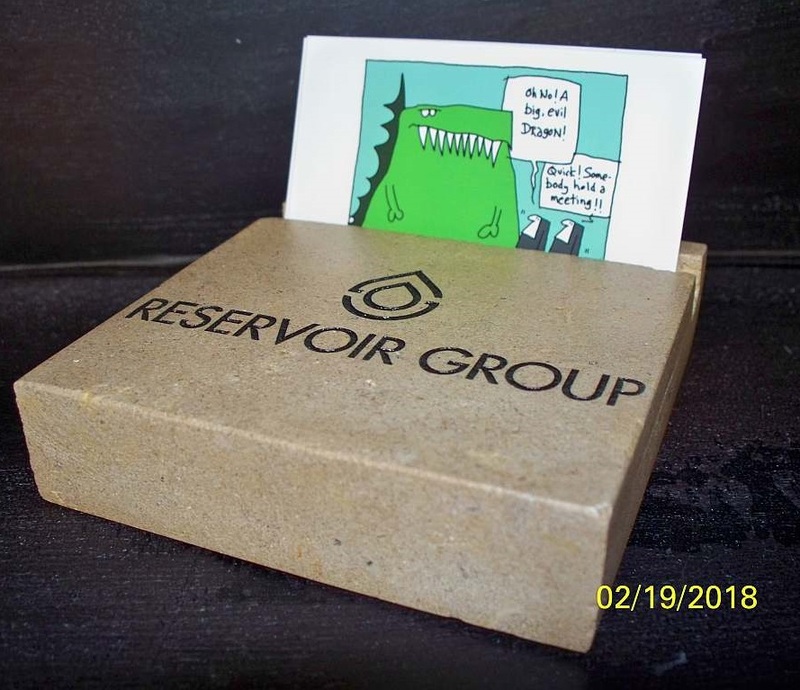 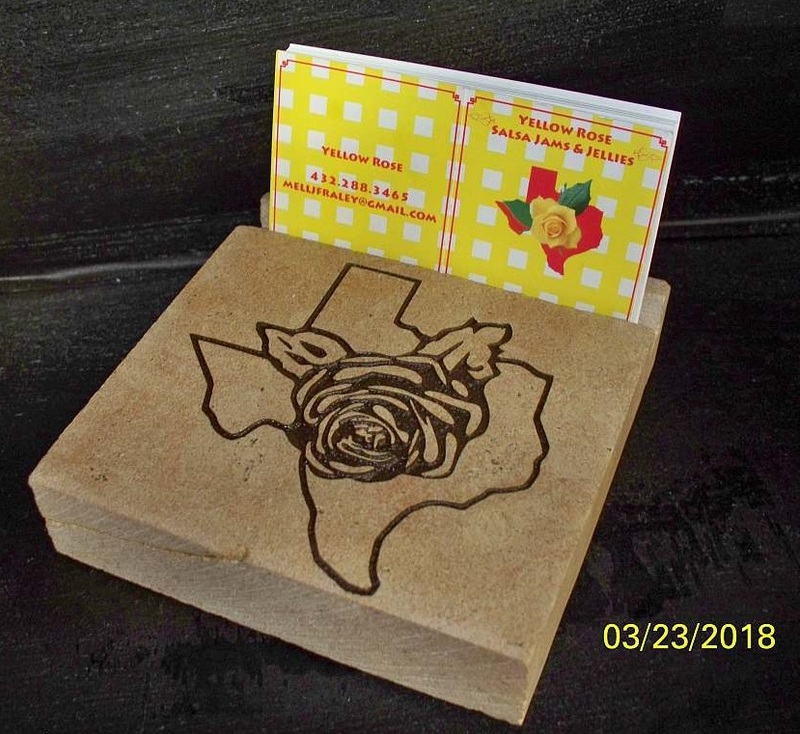 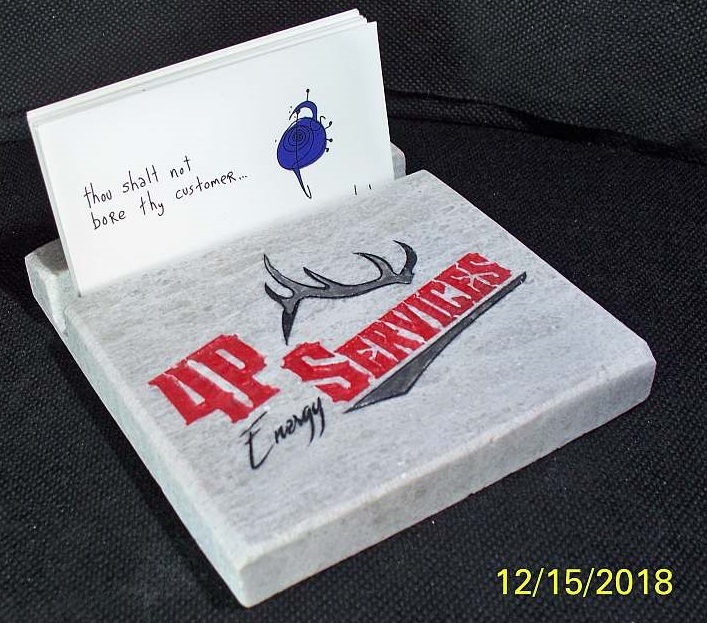 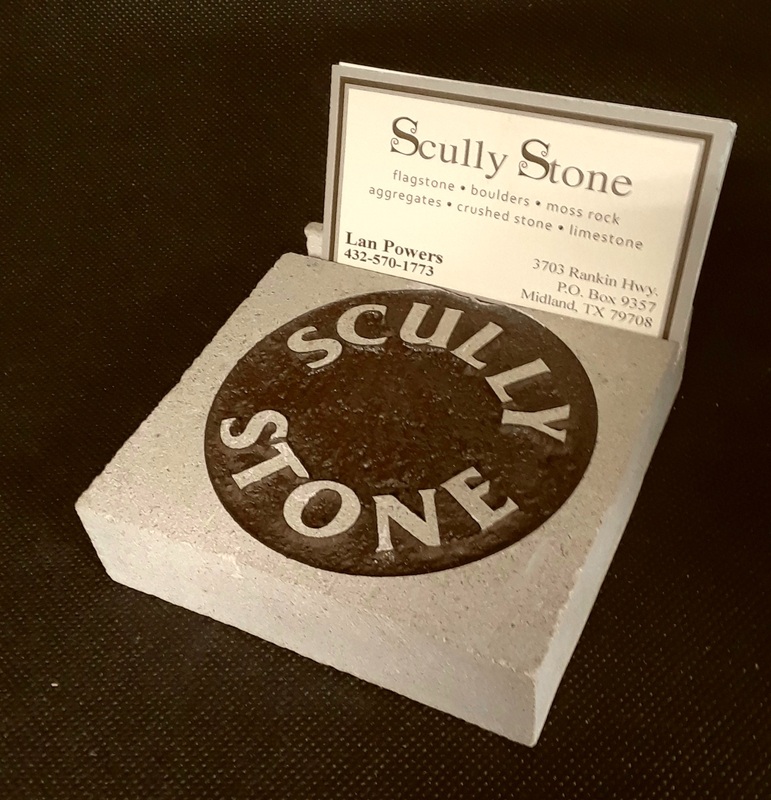 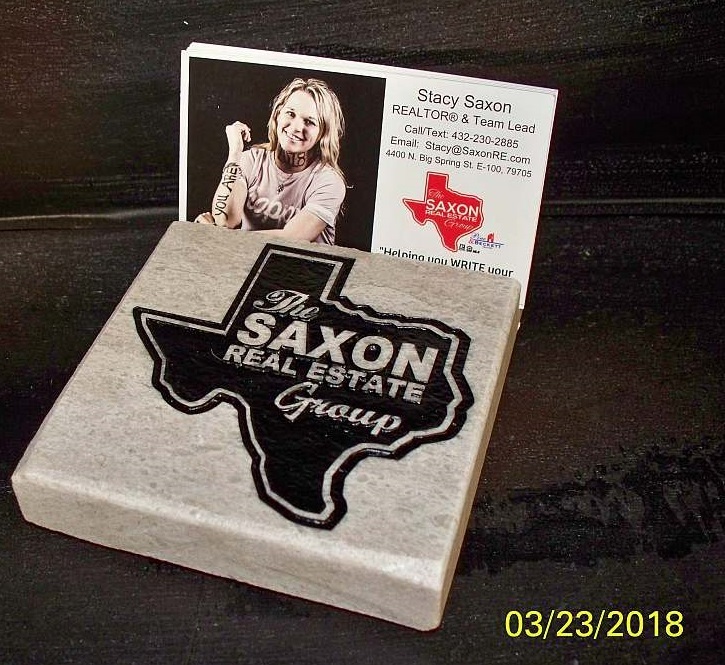 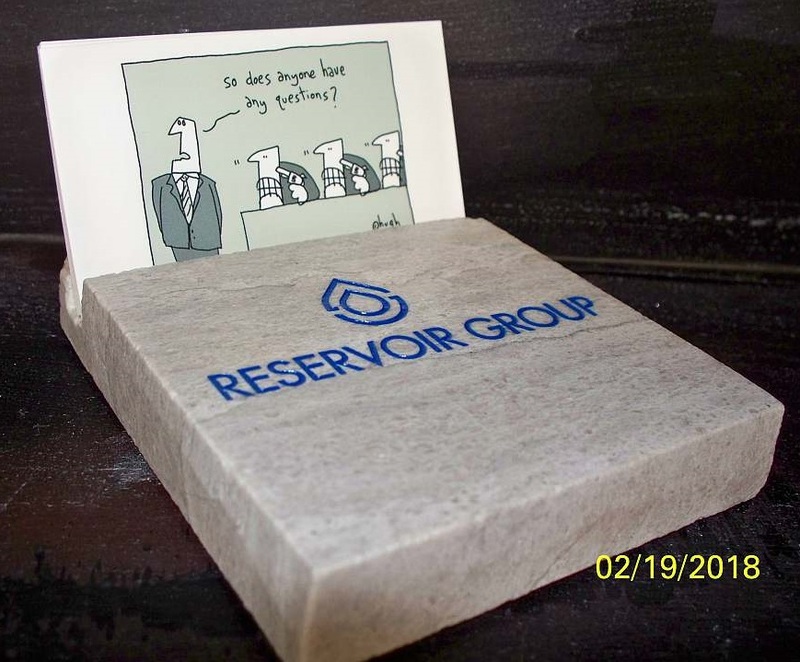 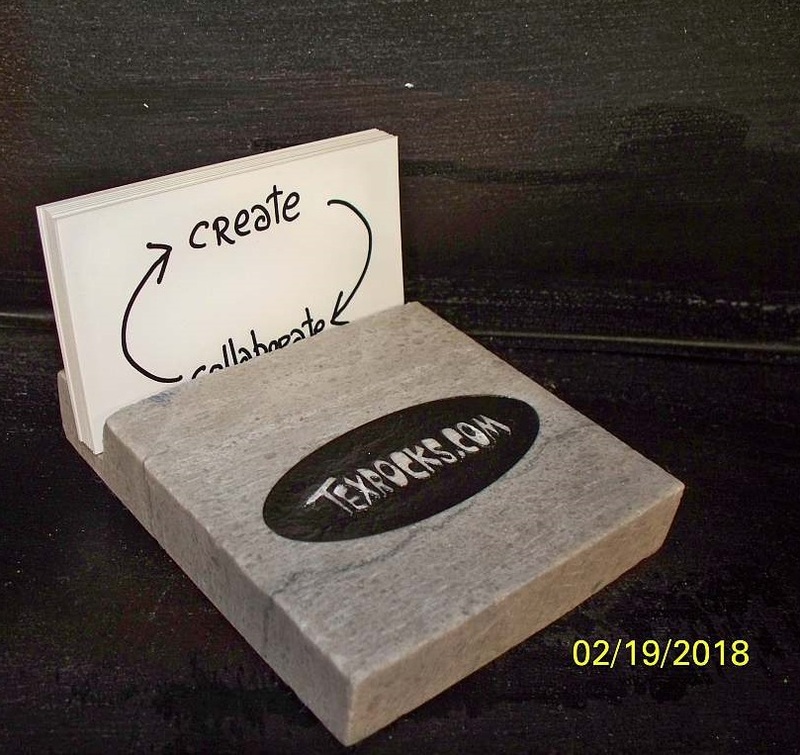 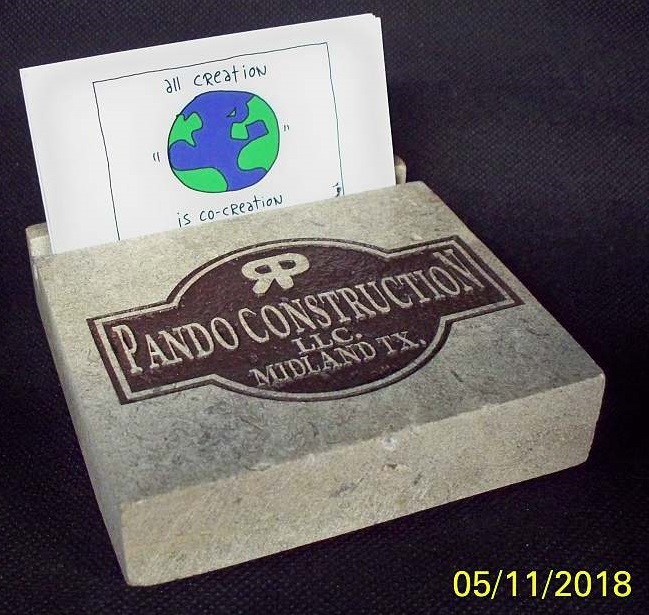 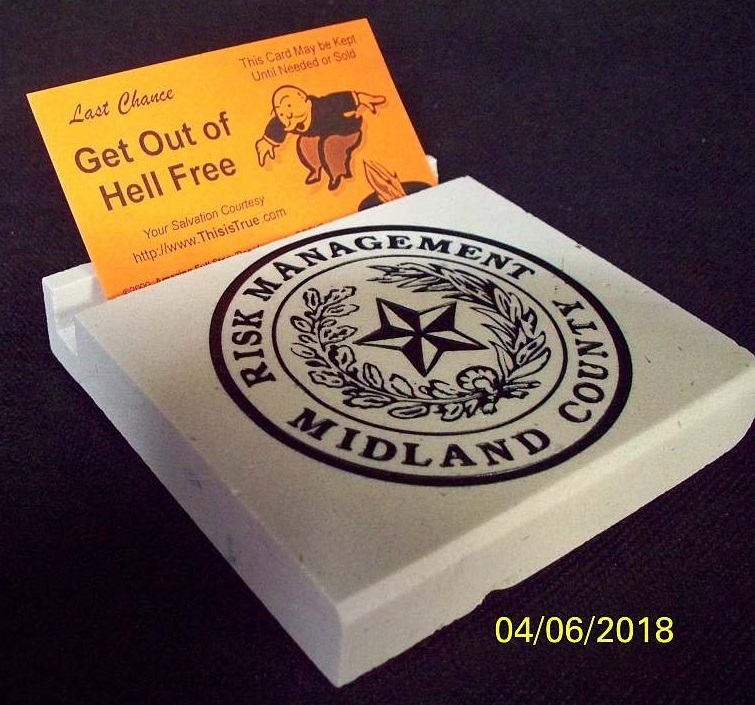 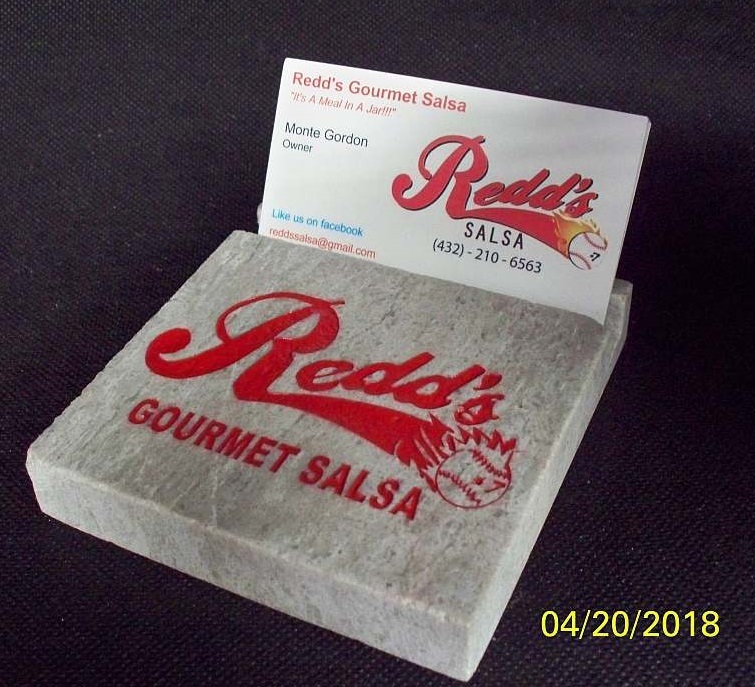 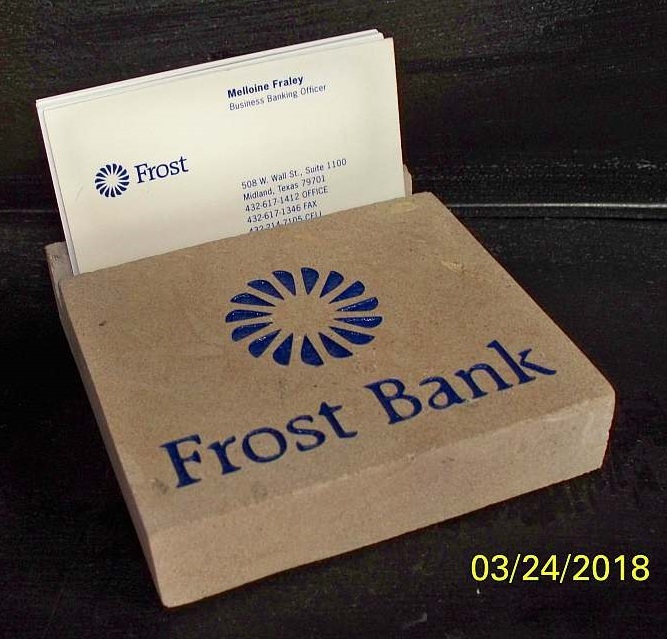 To order this product, go to the Order page, download the mini-plaque order form, choose a 4x4 mini-plaque ($20), and add $5 for the Business card slot. 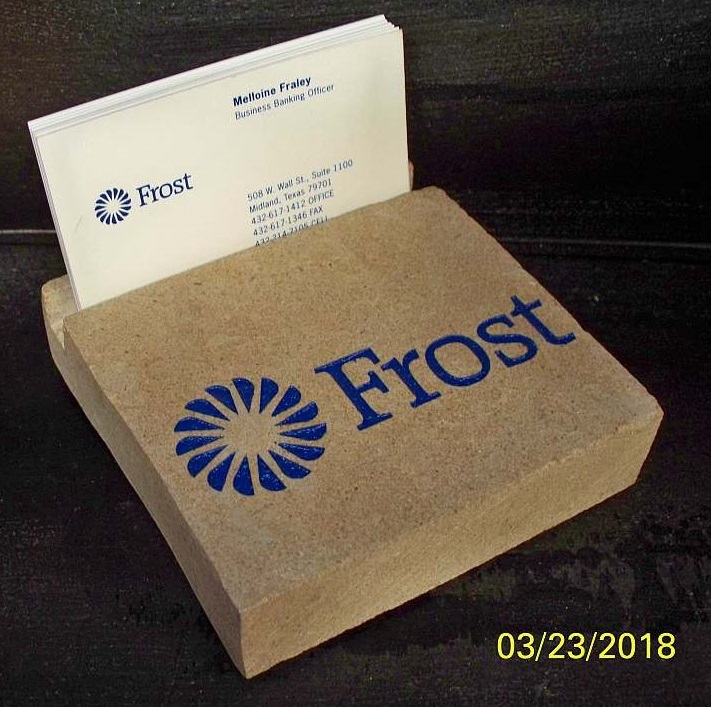 Or, just send me an email with a ".jpg" of your company logo and ask for a business card holder, and state your preference of stone. 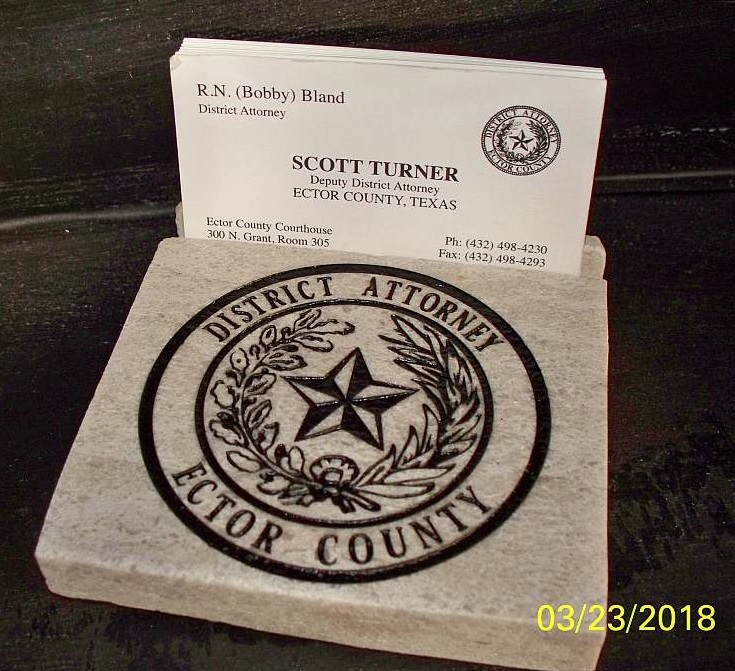 I can bill you via email using Square. 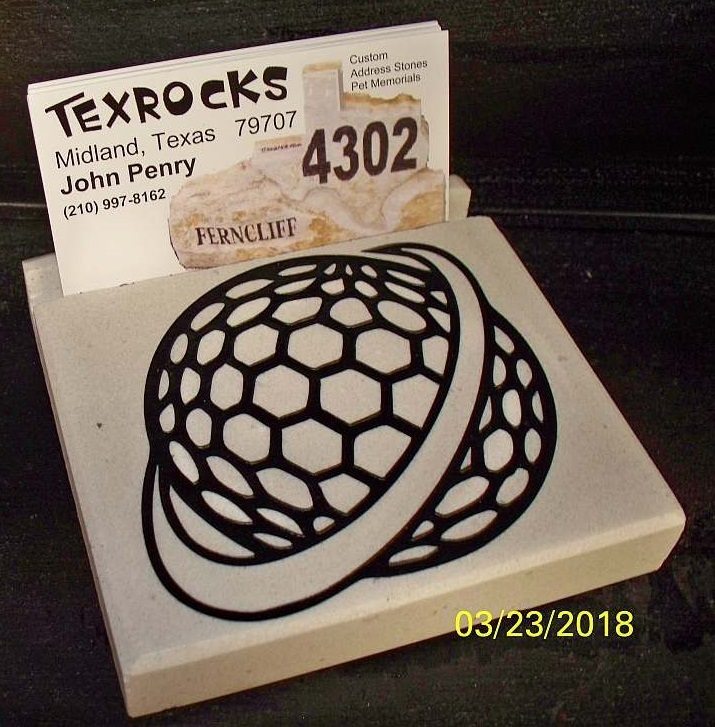 Click any photo for enlarged picture. 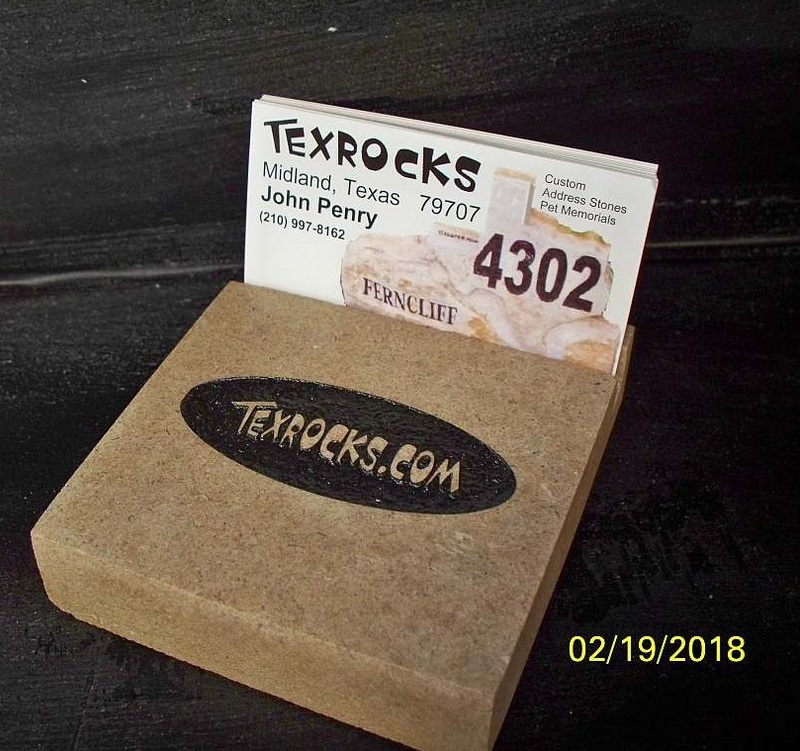 Copyright - © 2019 TexRocks.com - All rights reserved.